DescriptionThis beautiful crystal garland is perfect for decorating candelabras or place settings for special occasions. The crystal garland is 1 metre in length providing a generous quantity of crystals to jazz up your party décor. Each garland comes in a 1 meter length. 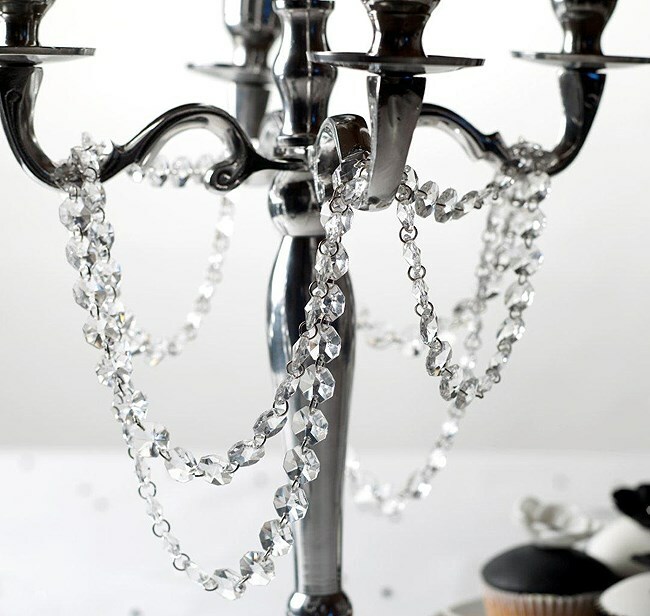 This beautiful crystal garland is perfect for decorating candelabras or place settings for special occasions. The crystal garland is 1 metre in length providing a generous quantity of crystals to jazz up your party décor. Each garland comes in a 1 meter length.